Jurisprudence as a uniform, stable, integral and coherent set of decisions. Is it conceivable? Among the provisions set forth in the CPC / 15, the topic of standardization of jurisprudence – with the use of different mechanisms – is still one of the most controversial issues among the scholars and, to some extent, among the courts. This column, in order to illustrate it, has published at least three articles whose contents were related to that subject and, now, it is making a new attempt. Considering the validity of the code, to which can be added the fact that the search for a uniform jurisprudence is not exactly new, the way of approaching it arises from the question in the title: is it conceivable that, at least in the medium term, people will be able to have jurisprudence that preserves values ​​such as isonomy, predictability, safety and reliability? Without any intentions of joining the chorus of the pessimists or the critics of the new law (even because the problem is far from being created by or exclusive to it), I am particularly skeptical of the future in this regard. I hope the words that follow are not read and interpreted as defeatist or destructive. However, if we want to change reality, the first step is to have a diagnosis as accurate as possible, albeit possibly unpleasant. It is not a matter of criticizing this or that participant of the system: it seems impossible and unfair to find someone accountable for it and, in a sense, we all are, as legal professionals, and citizens entitled to jurisdiction. It is a matter of identifying objectively the reasons why we have, after all, so much difficulty to standardize jurisprudence, and just as a reminder – as an eloquent demonstration of this premise – the law that had been provided for this purpose in the CPC / 73 was practically disregarded in the practice by the local higher courts (Court of Justice and Federal Court). A first difficulty seems to lie in the fact that, although we are a federation, the federated units have competing jurisdiction that is considerably limited. As it is set forth in the articles 22 and 23 of the federal Constitution, the most relevant matters for the citizen, for the society and for the state are confined to the federal law. The federated units were assigned – even though they compete with the federal government in some cases – relatively few subjects. This is also the case if we compare the federal Constitution and the state Constitution: the latter is often restricted to repeating provisions of the first. And whenever the local legislator intends to extend his scope of action, his rules frequently end up being considered as unconstitutional by the Brazilian Supreme Court- and this is not exactly an assignment of that court, but, as mentioned above, of the federal Constitution itself. Since the Constitution and the federal laws are the most relevant, and they are enforced by different organs – which act in cultural, social and sometimes diverse economic contexts – it is easy to understand that the interpretation of such devices tends to be uneven. It is not just the courts of different federated units enforcing the same law. Within the scope of the judiciary, the federal law is enforced by the state and the federal common courts of justice; and, although with some remarks, it also gives support to some specific courts, such as the labor and the electoral courts. All these organs, and that is something we must admit, have different formation and, above all, deal with different conflicts and realities. Each of them, therefore, tends to have their own view of the world and of the law. Outside the judiciary, the federal law – it once again – is the regulatory basis to be admitted by different administrative bodies – among them the regulatory agencies – which, and this will make us go back to the beginning, are under the control of different jurisdictional organs. Thus, in this context it is really difficult for an organ – the Brazilian Supreme Court in the case of the federal Constitution, and the Superior Court of Justice in the case of the federal laws (not to mention the Courts of Justice and the Regional Federal Courts when the issue is the so-called IRRD) – to be able to standardize the interpretation of federal rules, in such a complex and massive context of judgments. It is no coincidence, therefore, that the Brazilian Supreme Court – overwhelmed with lawsuits from the lower courts, and which should be an exception to that court – cannot account for its large amount of appeals that have recognized general repercussions. It is no coincidence either, that jurisprudence tends to restrict – often without plausible or fair arguments – the hearing of the appeals. However, that does not prevent the problem from persisting: we continue to struggle against the lack of standardization in the interpretation of federal rules. Another difficulty lies in the relative failure of the collective protection, in a broad sense, especially if we consider that related to the so-called homogeneous individual interests. Conceptually speaking, that form of protection – as long as it can have efficacy ultra partes and be postulated by the appropriate representatives – would show a greater possibility to produce uniform results. This is what happens in the case of the control of constitutionality, when the decision produces efficacy erga omnes. However, the Brazilian system – for different reasons that could not be examined here – took another way: it ended up choosing a technique of management of repetitive demands (they bring the same issues of law), which starts from the judgment of individual lawsuits – they do represent the controversy with proportions ultra partes – to extend the efficacy of the decision to everyone who is in the same situation. However, this mechanism – which was already included in art. 543 of the CPC / 73 and was fostered in the current law – shows some problems to be considered, such as risking the timing of the protection (due to the stay of the proceedings) and the adversarial system (due to the lack of standing of the parties who appear in the appeals that are elected as paradigms). 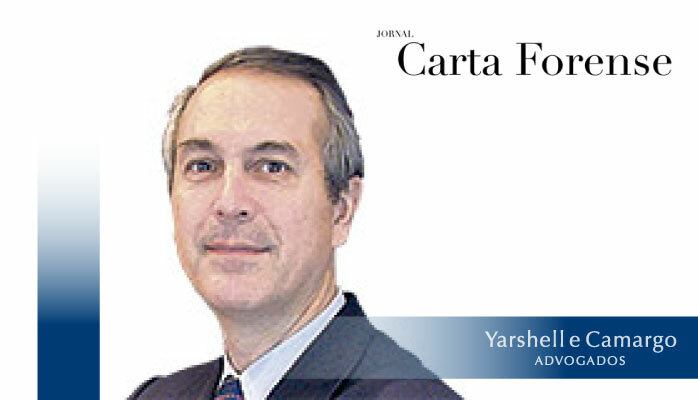 Finally, it must be admitted that the difficulty to standardize also lies in the refusal by the judges, whether or not based on the argument of their autonomy, to follow what, good or bad, has been subject to standardization by the competent judicial level. Once again, without the intention of finding culprits (because we are all responsible for the situation we have been going through), it is a fact that we often cannot find internal coherence in the several organs accountable for standardization, in such a way that some of their members simply refuse to follow what the judges panel established. Is it right? Is it wrong? Is it justifiable? These are difficult questions to answer, but the fact is that, objectively, this internal resistance undermines a system that intends to offer jurisprudence pursuant to art. 926 of the CPC / 15. And the problem, of course, is not only of the organ that makes the standardization: it is necessary that the organs subject to the standardization accept it. This is how it works in democracy and it would be necessary sincerity and self-criticism to accept the fact that the quantity of litigation does not stem solely from the number of demands or appeals that the parties file or bring, but also from the fact that the understanding of the higher courts is not respected. At this point, it is not possible to qualify as a bad faith litigant the party that insists on suing or appealing against a judgment made by a court that standardizes, and, paradoxically, to qualify the judge who ignores the standardization established by the competent organ as an independent judge. The two behaviors conspire against the stability of the system. The three obstacles identified here, which certainly do not exhaust the subject and for which there is no short-term solution, seem, indeed, to justify a certain amount of skepticism. Without overcoming them or at least lessening them, it will not be quite easy to envisage a future of uniform, coherent and integral jurisprudence able to generate predictability, safety and reliability. Therefore, let us all assume our responsibilities and, within the limits of our skills and capabilities, let us try to overcome these and other difficulties with modesty, work and serenity.